Motorline is delighted to represent the critically admired Czech marque in North Kent. 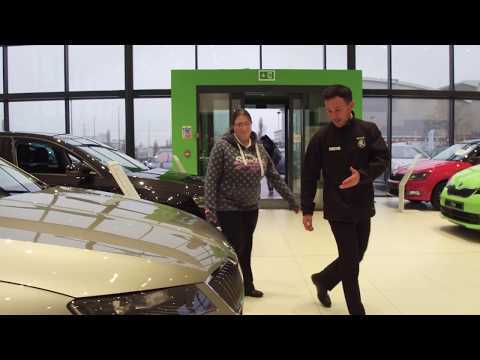 At our Dartford showroom, we feature the latest models in the ŠKODA range, providing something for almost every kind of motorist. Whether you’re a private individual, Motability driver or business user, we’re sure we can pair you with your ideal vehicle. While our new car range is competitively priced, our high-quality Approved Used collection offers even greater value for money. A Motorline dealership is synonymous with first-rate servicing, and our expert technical team in Dartford is on hand to solve your vehicular issues, big or small. We’re also proud partners of the Motability scheme and we’ve an extensive range of adaptable vehicles to suit your driving style. Talk to one of our experts today to create the most convenient driving experience for you. Click on the Offers tab at the top of this page to discover money-saving deals across our range of products and services. Our new showroom is located on Rennie Drive (DA1 5FD). If you have satellite navigation, enter DA1 5PR, and follow the signs for Bridge Business Park. We’re situated next to the town’s Premier Inn, adjacent to our sister Nissan branch, and the Halcrow Avenue/Rennie Drive roundabout, which is just off the A206. There are a number of different routes that you can take to come and visit us. For your convenience, we’ve created a handy route map that allows you to select a route most suitable for you, your location and offers an alternative route in case of any road closures or congestion.